Cebu City Mayor Michael Rama approved a bike run organized by Sugbo Bikers despite his announcement to put bike runs in main city roads on hold. Banks in Cebu advised their clients to complete bank transactions today before the four-day Holy Week break starts tomorrow. The Bureau of Customs in Cebu will auction more than 300 container vans of smuggled rice and various goods primarily to decongest the Cebu International Port (CIP). Mayor Rama allowed the Penitential Bike Ride on Holy Thursday and Good Friday, even after he was upset over last Saturday’s Earth Hour night ride, where, he observed, many riders going out of the designated lane and not wearing proper protection gear. Penitential Bike Ride organizers agreed to the safety conditions set by the mayor. The bike ride will feature riders going to different churches in the city. Rama still has to convene a bike board to assign 1.5-meter priority shared lanes in Cebu City that can be used by bicycle riders. Meanwhile, a church representative is reminding the people not to go overboard in their practice of penitential traditions like by crucifying or scourging, saying that the church has been clear on imposing on three acts considered as penitential practices: alms giving, prayer and fasting. The government has declared Maundy Thursday and Good Friday (April 3) as non-working holidays. With this, Cebu Bankers Club President Gino Gonzalez said banks will be closed starting on Maundy Thursday (April 2) until Easter Sunday (April 5). 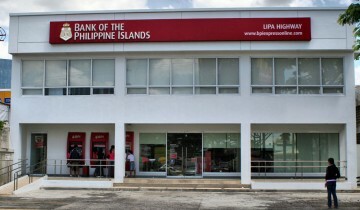 Banks are open only until today and banking operations will resume on Monday. Heavy withdrawals usually happen before the start of the Lenten holiday. There will be enough cash in ATMs, he assured. Newly installed district collector Arnulfo Marcos said that by auctioning more than 300 containers of smuggled rice and more than a thousand of various goods long abandoned by their consignees at the CIP, the Bureau of Customs is decongesting the port and generating revenues for the government. The rice shipment was apprehended in 2013. Marcos was the former district collector of Subic Port. He, as the new collector in Cebu, asked the support of the members of the Chamber of Customs Brokers Inc.-Cebu Chapter during its induction of officers and board of directors the other night. After a warrant of seizure and detention was issued yesterday against 56 container vans allegedly containing white sugar from Thailand, he hinted that government officials were involved in the sugar smuggling. Cebu Daily News: After quake: Where are emergency stairs?